Professor Dyson delivered a vehement and rapid harangue. As if to convince doubters (whose existence he seemed to imagine) that there are black Americans who know a lot of long and arcane words and can gabble them out quickly (though in his case not always coherently), he poured forth a torrent of righteous anger against slavery and segregation in the United States, which he apparently felt justified whatever strictures he wished to apply to white society, in the U.S. and elsewhere. Dissenters of other cultures could simply be discounted, and, for good measure, excoriated. Ms. Goldberg, a fine exemplar of the New York journalistic left, invoked President Trump on four separate occasions. She seemed convinced the mere mention of his presence in the White House made the case that the American left, if it were politically correct in the conventional sense of one's opinions and conduct, was also literally right in its belligerence, as any level of ferocity could be justified to oppose, and if possible remove, this elected president. She didn't elaborate on what was so abominable in Trump's policies or even engage in the usual diatribe against the president's stylistic foibles, merely invoked his name, as if he were Satan, or at least Hitler. The fact that he was president meant that the politically correct had not been aggressive or watchful enough, and this gave the left carte blanche to be as abrasive and as fierce as it wished in pursuit of whatever policy goals it espoused. What followed were vintage exemplars of the intensely concentrated Canadian intellectual, and the urbane and thoughtful English showman and actor. (Disclosure: Jordan Peterson and Stephen Fry are both friendly acquaintances of mine.) Peterson squarely addressed the subject with such precision that Dyson tried, unsuccessfully, to mock his gestures and portray him as a figure of the far right. Peterson explained that he considered the essence of political correctness to be the imposition, regardless or merit and aptitude, of "diversity, inclusiveness," meaning demographic ethnic and gender balance and "equity," defined as enforced equality of outcomes, in all cases regardless of merits. He had no difficulty establishing that this is fundamentally unjust and oppressive. This drove Dyson to, as was said of O.J. Simpson's trial lawyer (Johnnie Cochran), "play the race card and deal it off the bottom of the deck," accusing Peterson of being "mad, mean, bad, and white," which the accused described as "a hell of a thing to say about someone in a debate." The home audience rallied to him — it was an outrageous allegation and I was proud of the quality of his Canadian intellect and the fair-mindedness of the Canadian audience. Peterson also slapped away racial slurs such as indifference to native people by pointing out that he was brought up in a native area and was an honorary tribe-member, and when tauntingly asked to say where he thought "the extreme right went too far," he replied: "What about Auschwitz?" Dyson and Goldberg both showed the frequently encountered American obliviousness to the fact that the United Sates and the world are not coextensive and the same thing. The Peterson-Fry duo proved a powerful coalition of talents. After Peterson's intellectual infantry overran the trenches of the New York and Washington left, Mr. Fry overflew the battlefield and carpet-bombed the retreating enemy with witty diplomacy. He was, he said, the antithesis of what his opponents were warring against: a man of the moderate left, a man so unwaveringly gay that when he emerged from within his mother "I said to myself I will never enter that sort of passage again," and a person who has had "mental health issues." Having made himself unassailable to his opponents, and almost irresistible by his good-natured and very intelligent light touch, he made a plea for decency, civility, the avoidance of name-calling and the collective imputation of discreditable characteristics to total strangers. It was a compelling double-barrelled response, victory in war and victory in peace. The audience was polled on the way in and then again at the end, and the political correctness skeptics won initially and their lead was stretched out somewhat at the end. Mr. Dyson and Ms. Goldberg are obviously intelligent and articulate people, and most of the goals they espouse are desirable. But they voluntarily demonstrated the limits of righteous inflexibility in a democratic society where almost everything requires some element of compromise. 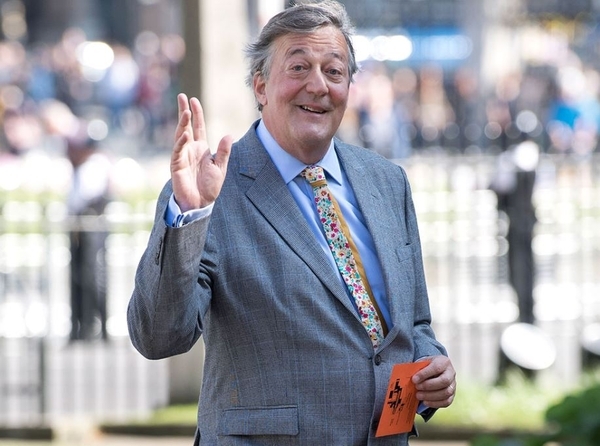 Jordan Peterson demonstrated, without pedantry, his grasp of great societal issues and trends, and Stephen Fry showed what a felicitous combination of fluency, wit, and charm can do to settle roiled waters. The issues were argued as much by personality as by exact examination, and four different cultural branches of the advanced English-speaking world from its three main countries were on display. My late friends of a great many years, George Jonas, who suggested the Munk debates, and Peter Munk, who endowed them, would have been gratified by it.